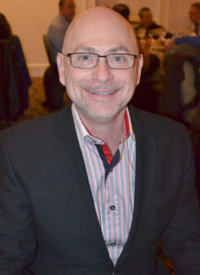 Dr Brian Berliner maintains two cutting edge optometric practices on Long Island for over 25 years. They are located inside Lenscrafters in Huntington Station and Lake Grove. Dr. Berliner provides thorough eye exams, which includes comprehensive eye health and vision care for patients of all ages. He is board certified to treat and manage eye disease and vision disorders for patients starting at infancy continuing through geriatrics. Dr. Berliner received his B.S. from City College of N.Y. in 1978 and his Doctor of Optometry degree from the Illinois College of Optometry in Chicago in 1983. Dr. Berliner subsequently completed a post-doctoral Residency affiliated with the SUNY College of Optometry and the Northport V.A. Medical Center on Long Island. During his residency, he gained extensive experience and expertise in primary eyecare, vision therapy, and low vision rehabilitation. Dr. Berliner’s special interests are in the evaluation, diagnosis and treatment of eye diseases including strabismus (misaligned or crossed eyes), amblyopia (lazy eye), acquired brain injury (TBI), low vision, vision therapy, accommodative and convergence dysfunctions and visually related learning/ perceptual disabilities. Dr. Berliner is uniquely trained as an eye doctor. He is certified to provide eye exams for low vision patients and is classified as a specialist through the NYS Commission for the Blind. He additionally has certifications in corneal refractive therapy and has earned the American Optometric Recognition Award for Continued Education. In recognition of his expertise, Dr. Berliner was appointed to the editorial board for the Review of Myopia Management in 2019. Dr. Berliner’s professional affiliations include being a long-standing member of the American Optometric Association, NYS Optometric Association, The American Academy of Orthokeratology, and the College of Optometrists in Visual Development. To email Dr. Berliner directly, click here.